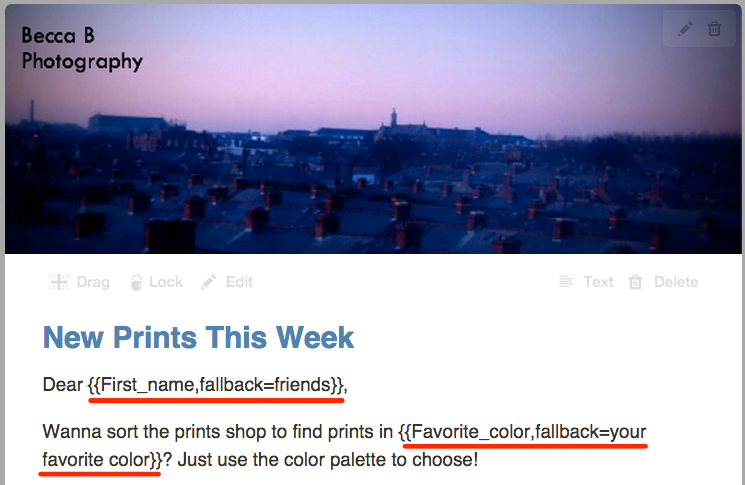 Personalization tags are like Mail Merge tags. They’re codes you insert into your emails to personalize your newsletter for each contact in your audience list. So if you want to greet each contact in your audience by their first name for example, you would use a personalization tag like: Dear (firstname). 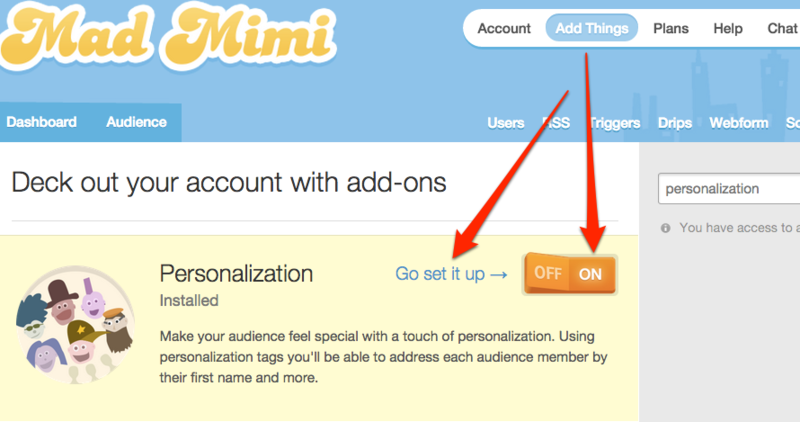 You can manually insert personalization tags into your promotions using the directions here. 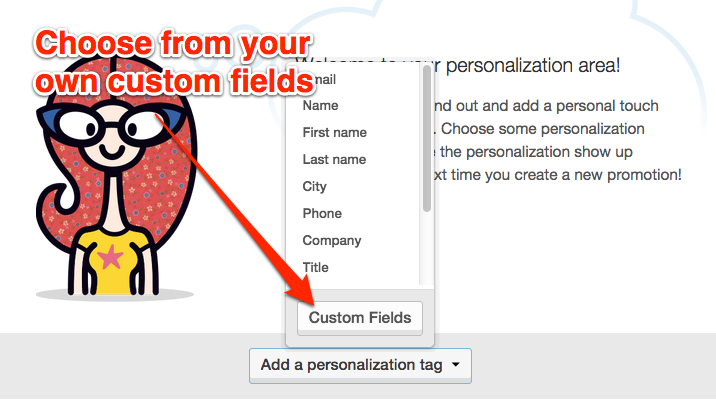 But if you want to streamline the process and take out all the guesswork, you can use our new Personalization Feature! 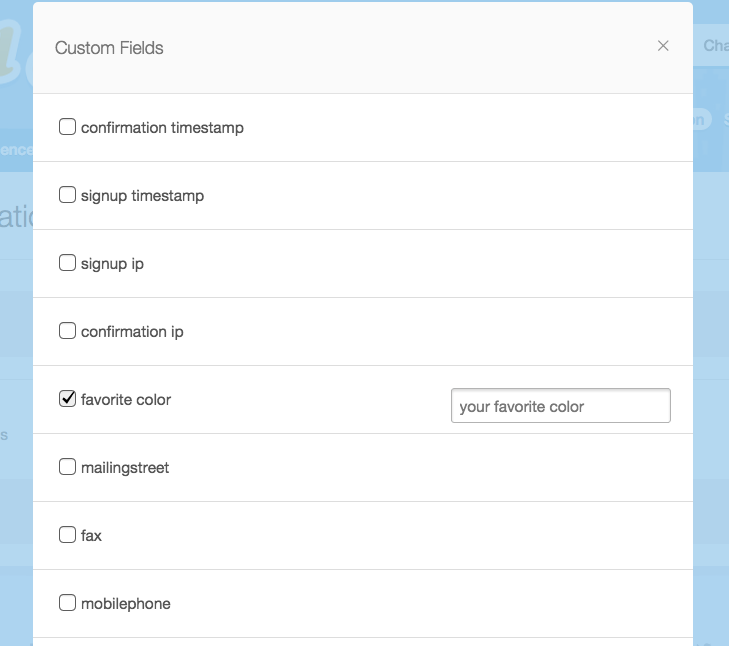 This feature lets you to set up your tags in advance, allowing you to add them to your promotions with the click of a button (instead of having to memorize the codes for each field). Note: If you’d like to add personalization in the subject line, it’s best to do so manually using the steps listed here. 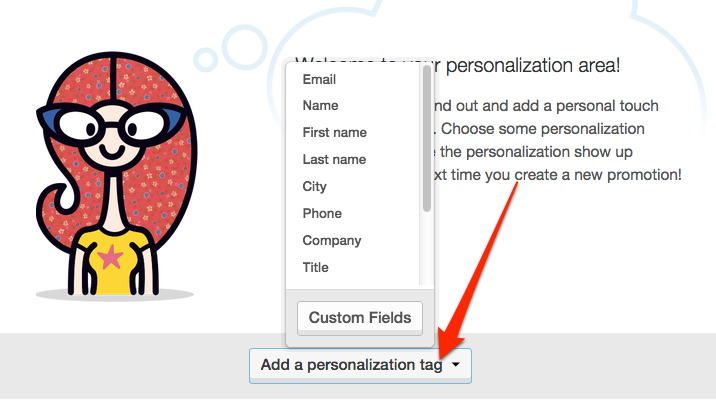 Click the dropdown arrow for “Add Personalization Tag,” and choose which field you’d like to add. Make sure to pick a fallback. If one of your contacts is listed without “first_name” information, then they’ll see a blank space. The fallback you choose will show in the first_name space instead. Note: If you want to add a field that’s in your audience information, but doesn’t appear in the dropdown window, just choose “Custom Fields” to see all the other fields in your audience. Then, you can choose the field, add your fallback, and Save. 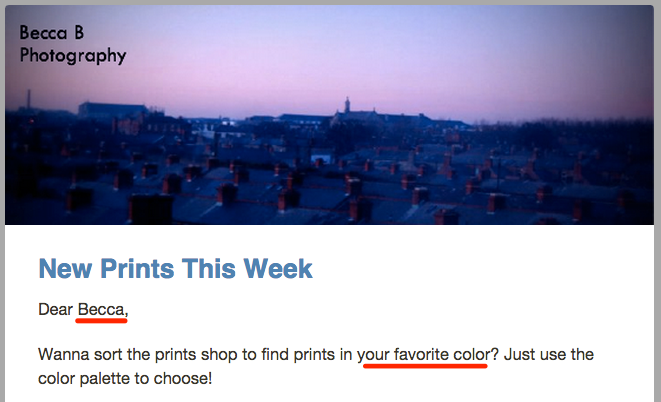 The first name information is grabbed from the audience file you imported, and because there’s no “Favorite Color,” the fallback we set to be “your favorite color” is used instead. Now, go forth, and personalize your emails!